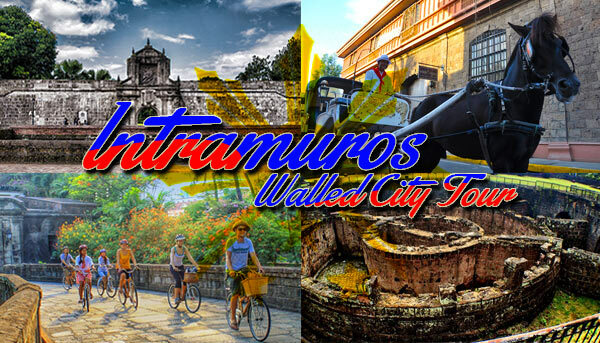 There is no city other than the capital of the Philippines that is as culturally rich as Intramuros. This destination spot is so rich in history that it is joyously visited all year round by both tourists and locals! To this day, security guards still dress as ‘gwardya sibil’ wearing uniforms just as they were during the Spanish colonial era. It is the oldest district of Manila that was named “The Walled City” way back when the Spaniards built it as their fortress against invaders. Learn even more on your tour where the most fun is made as you can choose from a Jeepney, Kalesa, or even a Bamboo Bike as your means of transportation. Additional charge if you would like to do the activity via riding a bamboo bike, horse-drawn kalesa or air-conditioned jeepney. Intramuros is located safely in the heart of Manila. It is just a 20-30 minute ride away from Makati and is easily accessible for both golfers and non golfers. 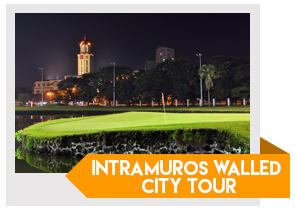 You can start your day with a short par 68 round of golf at Club Intramuros and end with a half day tour of Intramuros. You may have this fun and cultural trip any day of the week. Tour duration is 2.5 hours and can be exclusively private or open to joiners.